﻿ October 2017 Marketing and Holiday Planning » Red Mango Marketing! That means it’s time to take out the Halloween decorations, find pumpkin versions of your favorite coffee drink, and plan your business’s holiday promotions. It might seem early, but with almost all of the biggest shopping days of the year coming up in the next three months, there’s no such thing as being too prepared. 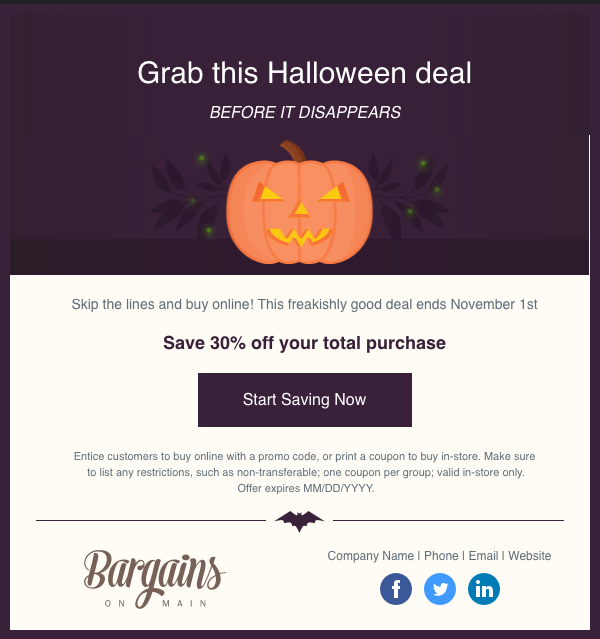 First things first, you’ll likely want to send a Halloween-focused email to take advantage of the $8.4 billion dollars spent on the holiday each year. Luckily, Constant Contact has a selection of Halloween-themed templates to help you create a message quickly. Looking for more fall marketing ideas? 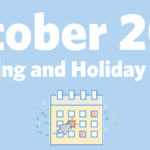 Check out the infographic below for October holiday planning ideas. Download and print the infographic to stay on track all month long. The post October 2017 Marketing and Holiday Planning appeared first on Constant Contact Blogs. This entry was posted on Tuesday, September 19th, 2017 at 8:00 am	and is filed under content ideas, Email Marketing, News & Updates. You can follow any responses to this entry through the RSS 2.0 feed. Both comments and pings are currently closed.